Results are in! For full results of the 2019 Fittest Company Challenge, click here. Q: What is the Fittest Company Challenge? 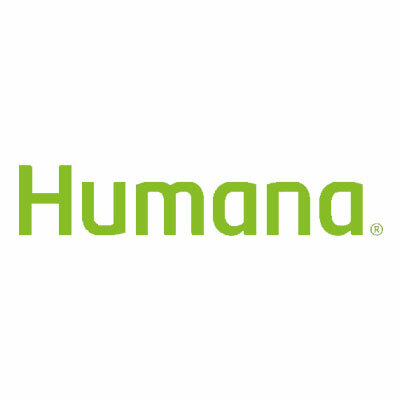 A: The Fittest Company Challenge, presented by Humana, is an opportunity for friendly competition among area businesses during all the marathon events. For each employee (or immediate household family member of an employee) who finishes a race, your company gets 1 point per mile finished. For points to be counted employees must register properly and complete their race. NEW IN 2019! Both employees AND immediate household family members of an employee will count for points in the Challenge! Q: Do we have to run the marathon to participate? A: No one from your company has to run the marathon to participate in the challenge. Employees can participate in any event as a runner or walker. However, we do not encourage walking a marathon because of time restraints. Rather, we encourage walkers to participate in the 5k or half marathon or as part of a relay team. Q: Do we have to be a large company to participate? A: There are categories for small, medium, and large companies, as determined by number of employees listed in Knoxville Chamber’s directory of area employers. You will only be competing against other companies of similar size. Plaques are awarded to the 1st, 2nd, and 3rd place companies per category. Q: How do we receive points for our employees finishing? A: Each individual can register themself for the challenge either online or via the mail-in registration form. Just make sure that each employee (or immediate household family member of an employee) indicates your employer’s name in the “Employer” box during registration. Once all races are complete (and results are in), we will tally the points for your employees and immediate household family members of your employees that finished their respective races. Q: What if no one from our company is a runner? A: Marathon officials will provide training programs to help participants prepare for their event. The Health Shoppe/Knoxville Performance Lab/ZenEvo Dark Chocolate group run program is organized to help both beginners and advanced runners reach their goal. Remember that walkers are also encouraged to participate in the Covenant Health Knoxville Marathon. Q: Why should I promote this program to our employees and their family members? A: Running and walking promotes a healthy lifestyle, which in turn creates healthier employees who rely less on health insurance, which helps control the bottom line. It is also a good way to boost company spirit and a fun way for employees to interact outside the office. Getting the whole family involved not only helps get the family members healthier, but creates camaraderie at home and at the office. register the entire company team? A: Not necessarily. Each individual can register themself either online or via the mail-in registration form. Just make sure that each employee indicates your employer’s name in the “Employer” box during registration. Q: Our company would like to pay the registration fees for our employees, how should that be handled? A: Please contact the marathon office to discuss options. Q: Can my family sign up as part of our company challenge team? A: YES! New for 2019, employees and immediate household family members of employees can score points for the employee’s company! Make sure that the registrant selects your company from the drop down menu for “Employer” during the online registration process. Q: When are the awards presented? A: We will present awards to the top three companies in three divisions at the May Knoxville Chamber Meeting.